Die Leute von ota+ haben gemeinsam mit Studenten der University of Texas at Austin School of Architecture( Design V Studio) diesen Pavillon entwickelt. Dank CNC Fraese und wahrscheinlich ein bischen Faltarbeit, ist ein ganz nettes Ding entstanden. Es firmiert unter dem Namen caret-6. Eigentlich sollten dort die Ergebnisse des tex-fab Wettbewerbs ausgestellt werden. Wer mehr informationen will sollte einfach mal bei den verschiedenen Links nachforschen – Viel spass! gefunden dank archdaily( Pic von hier © Casey Dunn)ota+ did together with students from the University of Texas at Austin School of Architecture( Design V Studio), this wonderful pavilion. It is named caret-6. Its a nice example of what students can build. 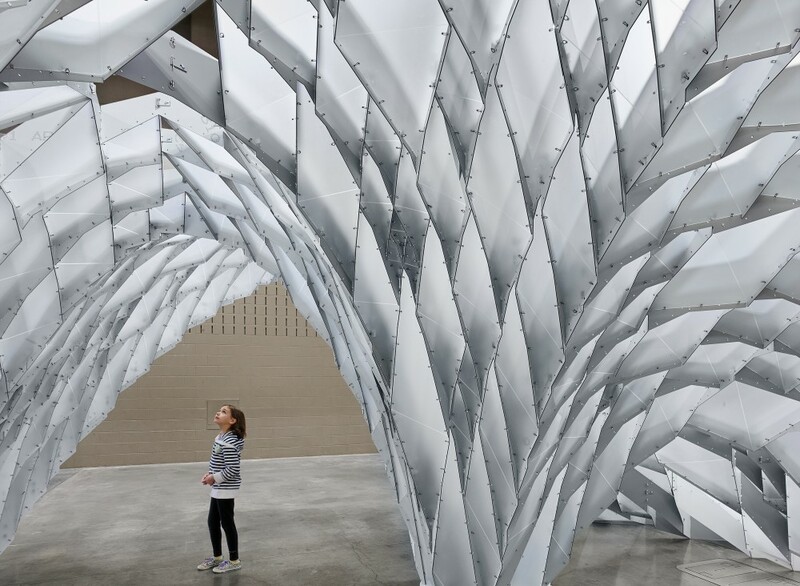 found through archdaily( image from here, © Casey Dunn)ota+ did together with students from the University of Texas at Austin School of Architecture( Design V Studio), this wonderful pavilion. It is named caret-6. Its a nice example of what students can build.